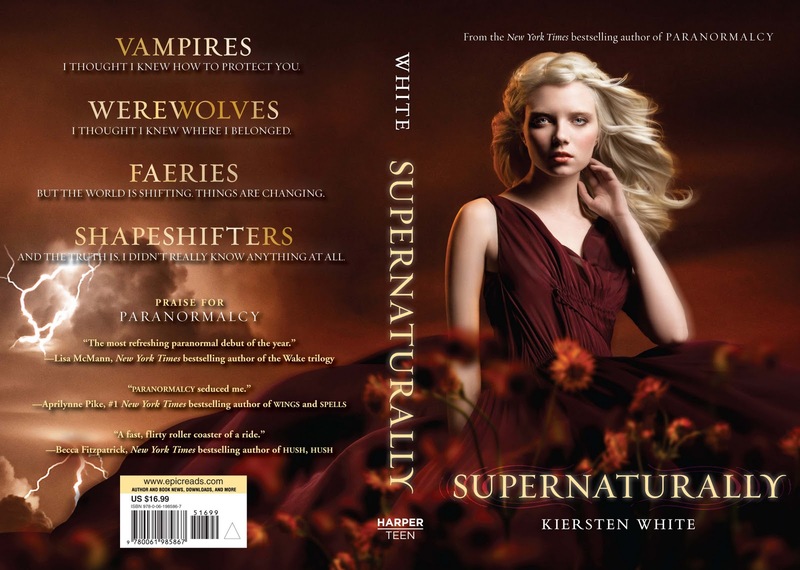 Here it is - the fantabulous cover for Kiersten White's, SUPERNATURALLY! I think I love it even more than the first in the series, PARANORMALCY . It's the red. Such a rich color. Also, her eyes have that silvery, supernatural, glow. And it's one of those wonderful wrap-arounds. Love those. Yeah, not much. You get more on the back cover. But come on, we know PARANORMALCY lovers are not going to be disappointed! Also Kiersten is having a contest - You come up with your own original cover blurb. To enter go to her blog before Monday 2/21. Enjoy the Cover Love and have a great weekend! I must say I actually like this cover alot more than Paranormalcy. It's beautiful. So happy they went with the same cover theme as Paranormalcy and the model is gorgeous. Oh I really, really like this cover! You can definitely tell it's related to Paranormalcy but I think I like it better. Hope you made it to the release of I Am Number Four! Hoping to see it today! I freaking love this cover, I have Paranormalcy which I'm going to have to read quickly. This one looks like a must have! So pretty! I love the dress and the red colors. It looks like it'll suit the book really well. I am so happy the same cover model was used.